Sailing the Geirangerfjord. All photos by Jody Daunton. Rachel Maria Taylor and Jody Daunton journeyed to Norway for the latest issue of their outdoor lifestyle magazine . 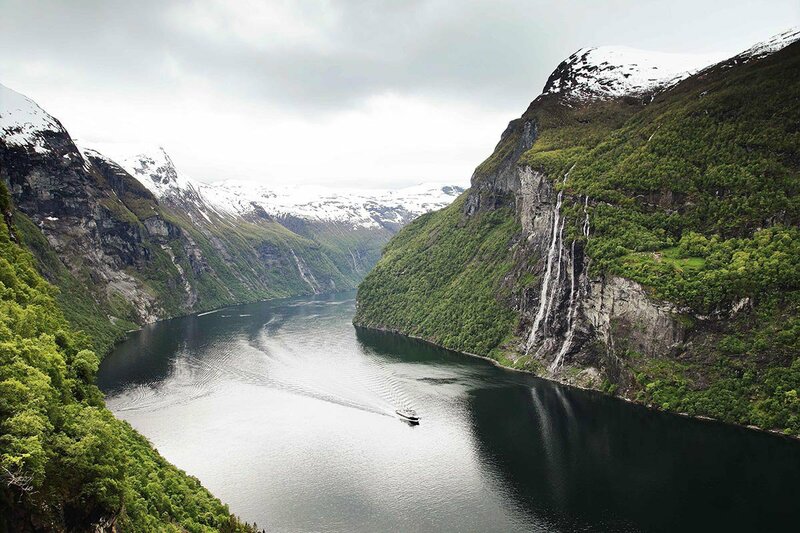 Deep fjords, tall mountains, and thick forests were just the beginning of what they discovered — Norwegians have a close relationship with their natural surroundings (the concept is known as friluftsliv), truly embracing nature and enjoying the outdoors as a way of life. You can see outtakes from the adventure here, along with an excerpt from the published story. Look out for the recently launched fifth issue of Another Escape. 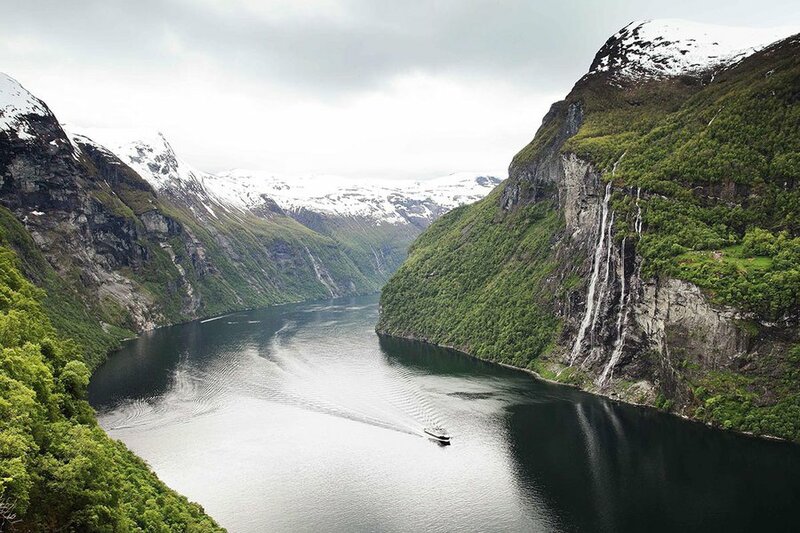 NORWAY – Bordering Sweden, Finland, and Russia, with a ragged flank that disappears into the pitted bed of the Norwegian sea, Norway is a slender spool of craggy peaks, vaulting waterfalls, mirrored lakes and fjords, and woolly forests. To the west, the landscape is carved out by glaciers, with the abrupt slopes of the Scandinavian mountains towards the North Sea. Numerous corridors of valley connect this raw, imposing topography to the spruce-carpeted hills of the east. 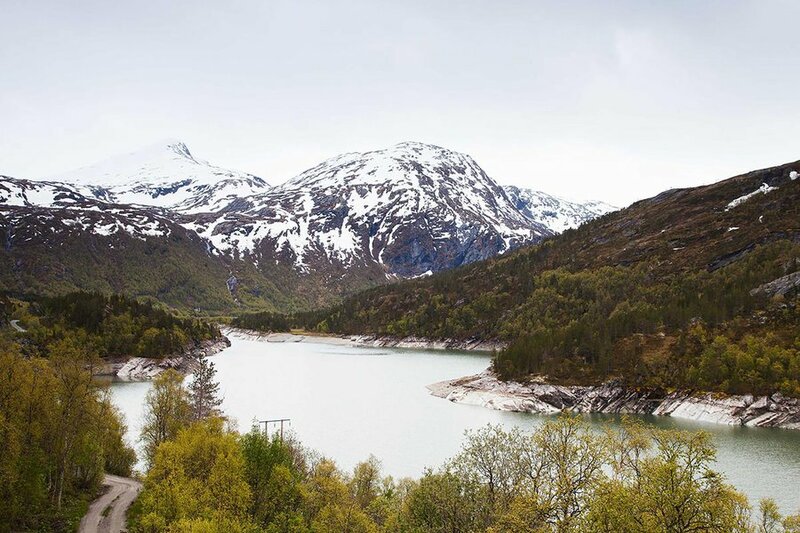 And while the north is characterized by fjords, mountains, vast snowfields and some of Europe's largest glaciers, the south is a gradation of urban living, agricultural lowlands, fells, and docile coastal living. This entry is excerpted with permission from Another Escape, where the article originally appeared. Read more about the Norwegian concept of friluftsliv in . Another Escape is an outdoor lifestyle, creative culture and sustainable living publication. Buy the or follow them on , , and . Traveling alongside the Tafjord towards the Tafjordfjella Mountains. 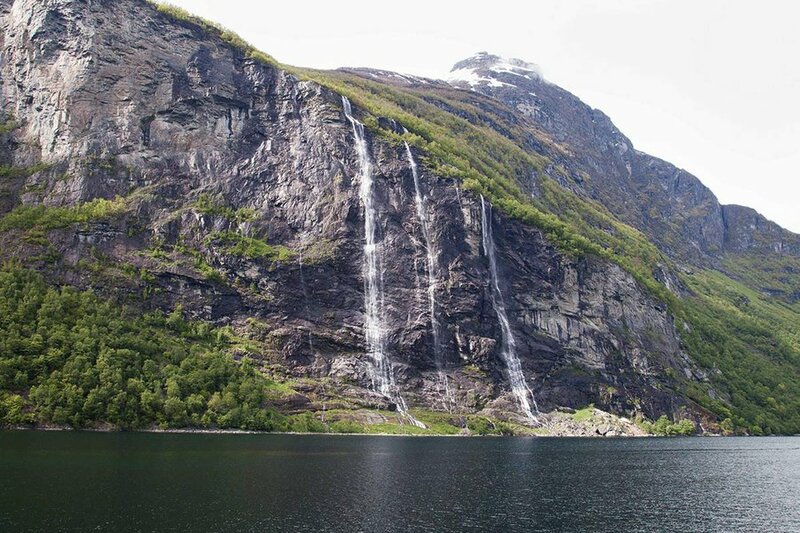 As the season changes, snowmelt runs down the mountains and waterfalls cascade into the fjords below. This is the view from the Skagfla farm, which rests on a small mountain shelf 250 meters above the waters below. 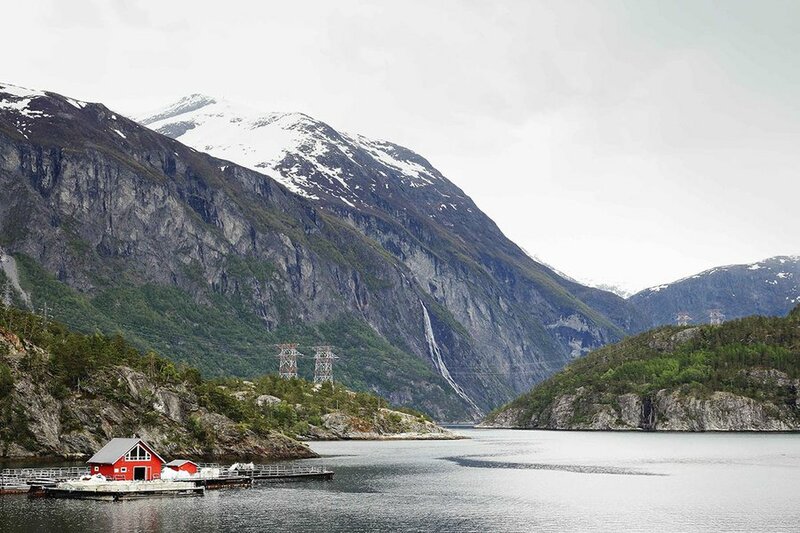 Across the fjord you can see the spectacular Seven Sisters Waterfalls. 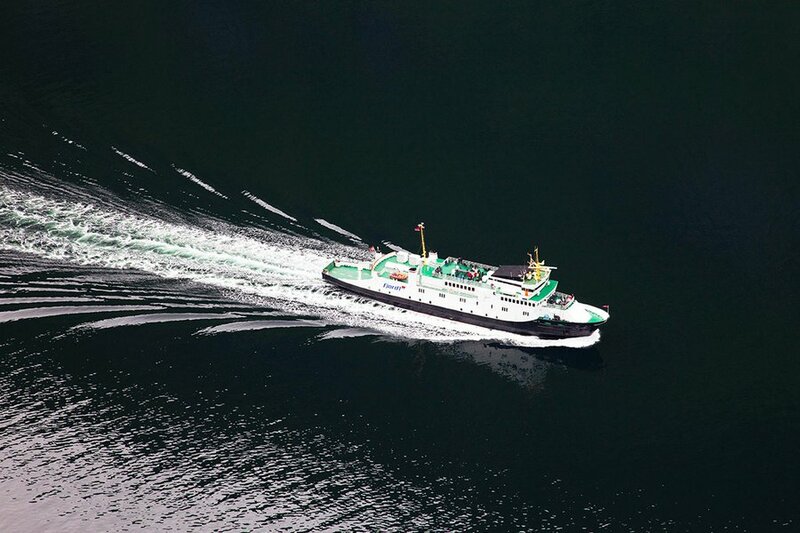 The boat gliding through the water is a ferry that can hold up to 50 cars, which puts in perspective the great expanse of the fjord. Water rushes down the mountains and over the cliffs into the fjords. A scenic ride from Hellesylt to the village of Geiranger. 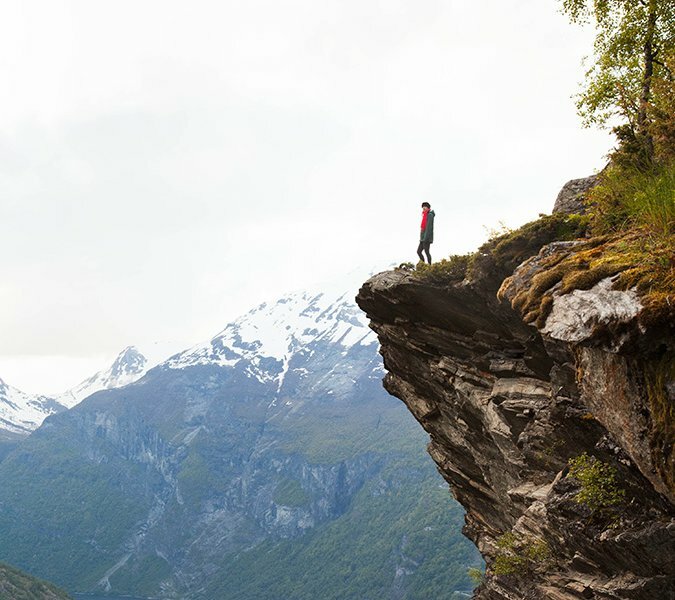 Co-founder Rachel Taylor stands on a precipice overlooking the village of Geiranger and the fjord. Mountain refuge hut at the top of Romsdalseggen. A much-appreciated respite when hiking in wind, rain, and snow on the Romsdalseggen Ridge. 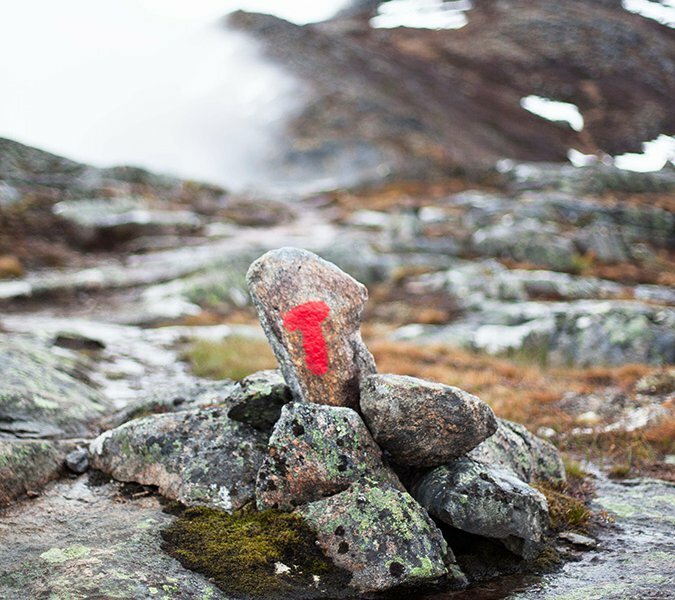 The DNT (Den Norske Turistforening, known in English as the Norwegian Trekking Association) uses a distinctive "T" marker on all of their trails. The general rule of thumb is that you will always be able to see one marker from the next, which can come in pretty handy when the harsh weather sets in. 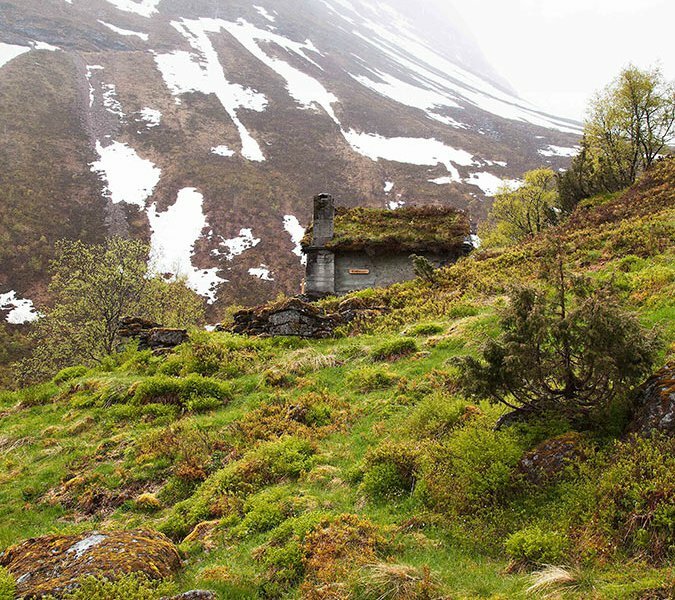 In the remarkable Vellesæterdalen valley, the Velleseter Cabin rests on an exposed hilltop at an altitude of 418 meters. 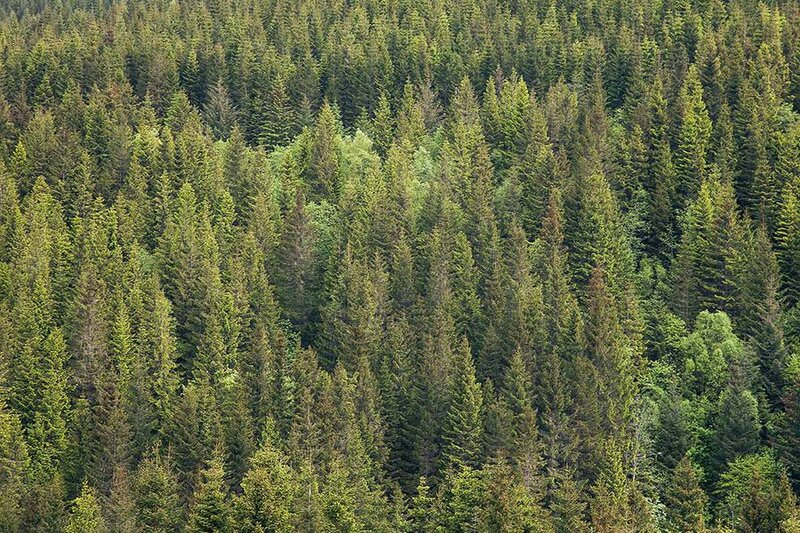 Thick forests blanket the Norwegian landscape forming a patchwork of evergreens and deciduous trees. 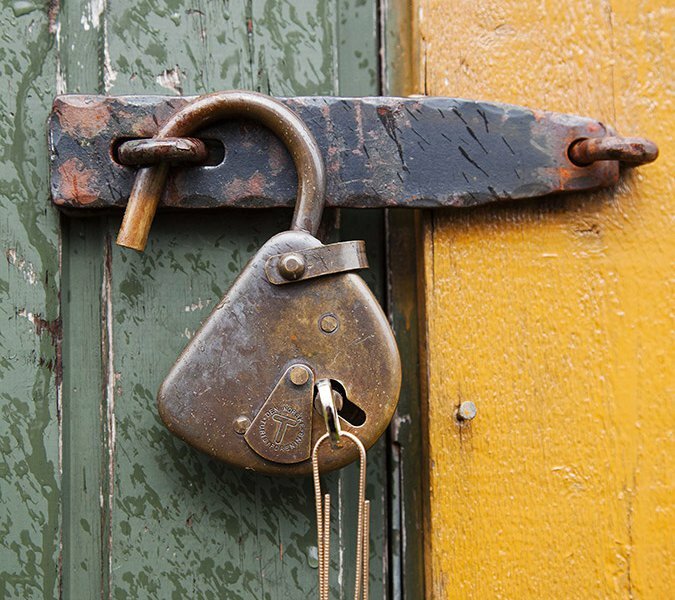 DNT padlock and key. 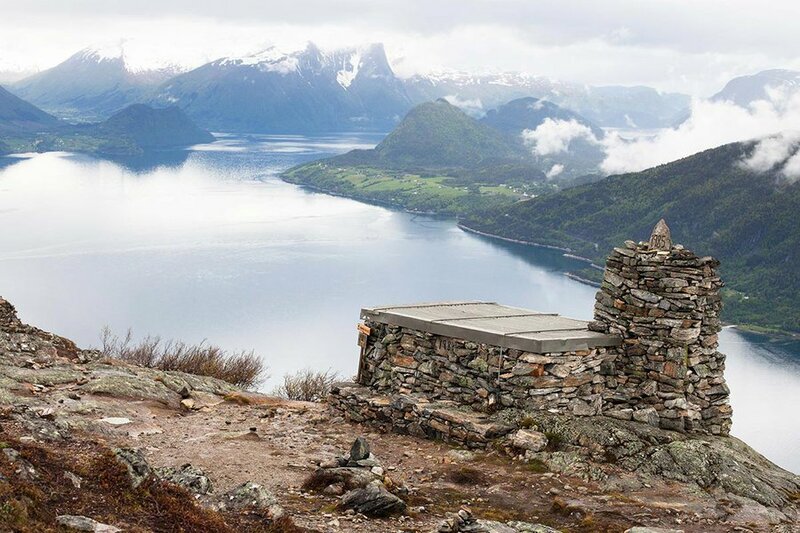 The DNT has an elaborate networks of trails and cabins across the whole of Norway that are open access for all to use. The keys are available from local tourist and DNT offices. 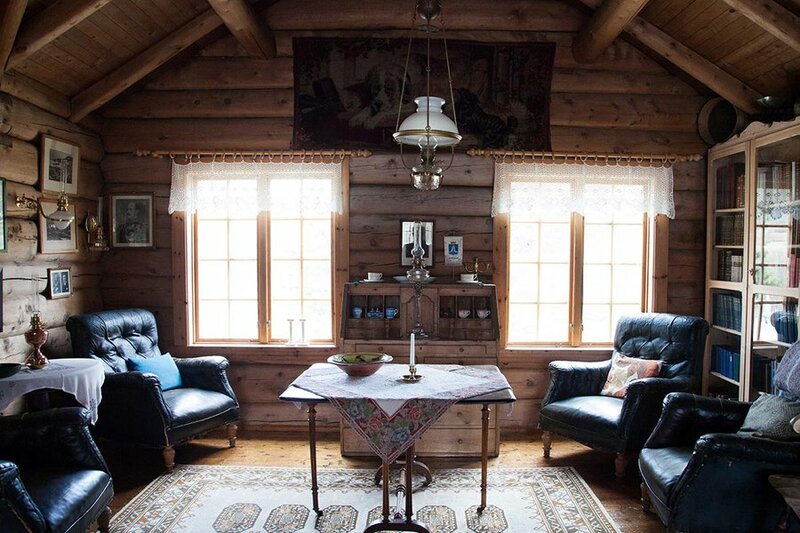 Inside the Vangshaugen cabin, one of the DNT cabins. 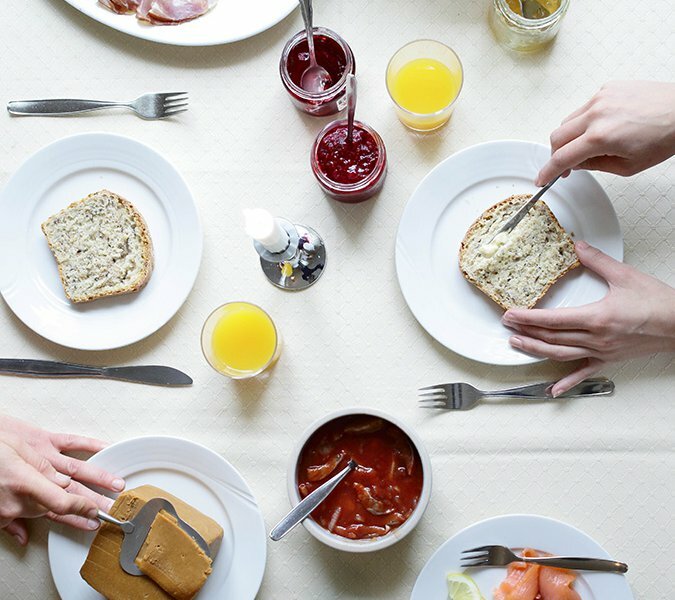 A selection of cold meats including muskox and reindeer, which are native to the region; locally caught smoked salmon; klippfisk, a Norwegian dried and salted cod; locally made jams from the abundance of local berries; and the quintessential sweet brown cheese that tastes almost like fudge. Many buildings in Norway traditionally have turfed roofs. 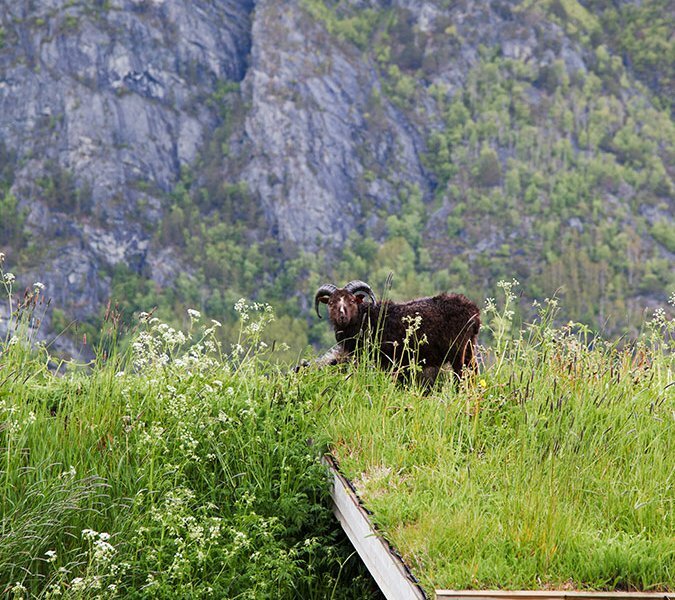 Sheep and goats are often put on the rooftops to eat down the grass, which is exactly what this cheeky chappy is doing. 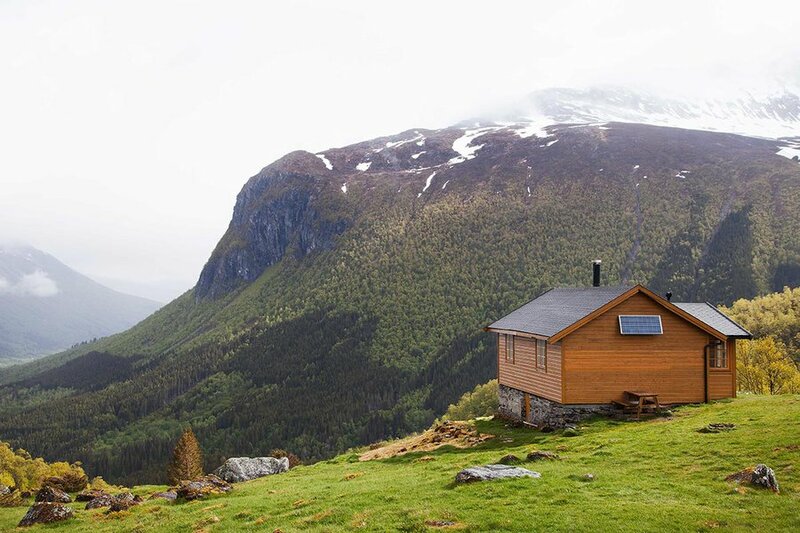 A traditional little cabin tucked away in misty mountainside. The view from Kaldhuseter cabin, looking out across the lake towards the Tafjordfjella Mountains. Jody and Rachel are the founders of outdoor lifestyle magazine . You can follow them on and . They travel for the inspiring stories they share with their readers and publish in the magazine.